Pflueger President XT Spinning Reel, don’t be confused this is the upgraded President special edition. Lighter and smoother than ever, the popular Pflueger® President® XT Spinning Reel delivers superior quality within its price class. 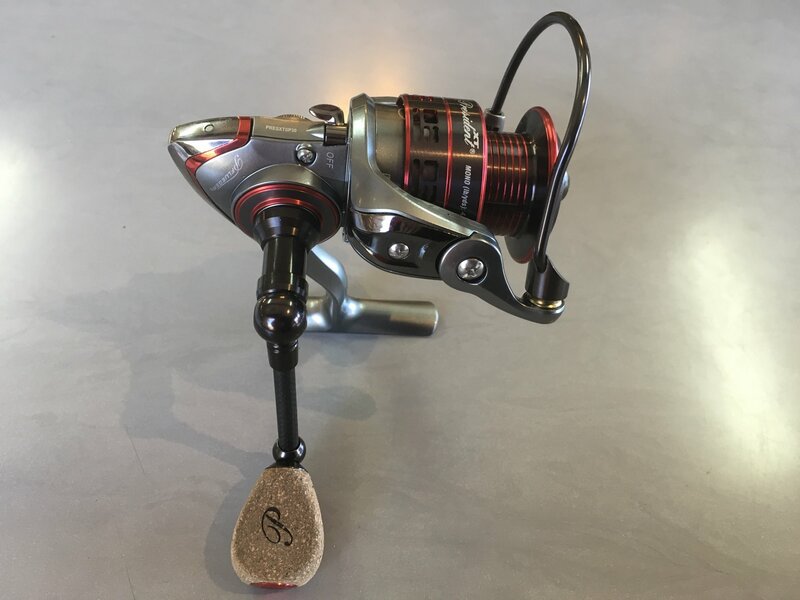 Day in and day out, this reel provides extreme comfort and balance, thanks in part to its aluminum main shaft, which is 30% lighter than stainless steel, and aluminum pinion gear, which is an astonishing 60% lighter than a traditional brass gear. The President XT is also equipped with a carbon handle that is stronger and weighs 21% less than aluminum; its lightweight rubber cork handle knob offers exceptional gripping power in all weather conditions. Its quality 10-bearing system features corrosion-resistant stainless steel ball bearings plus instant anti-reverse, and the sealed drag keeps water and grit from getting in, so it always stays perfectly lubricated and smooth at all settings. Pflueger has equipped this reel with a braid-ready spool that allows direct-tie—no need for backing. With its many enhancements, the President XT remains one of the best values on the water.